Delivers enhanced durability on mixed surfaces. Even tread wearing, resistance to tread puncture and increased stability for a versatile wheel loader solution. 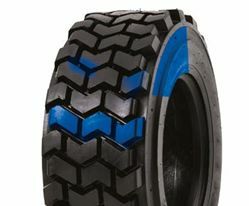 The Camso SKZ wheel loader tyre has a unique non-directional tread pattern for excellent traction and wear resistance on mixed and hard surface applications. Go to the TESTIMONIALS page to hear feedback from our customers.